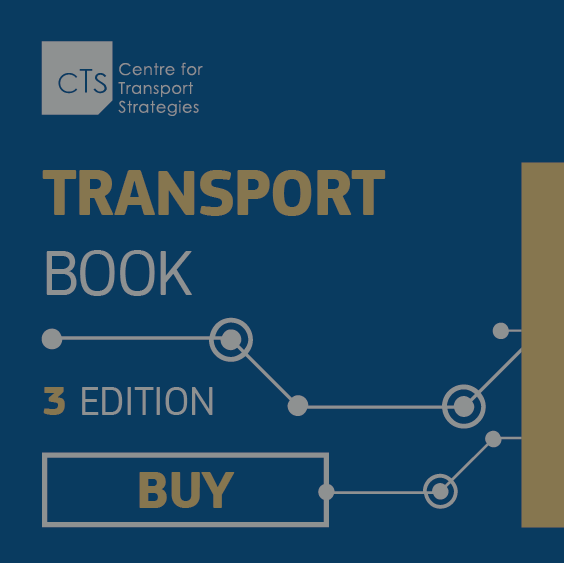 An unprecedented number of people gathered in the English town of Stockton on 27 September 1825 in anticipation of a miracle – the departure of the first passenger train in history. It is a stretch to call it a passenger train because its wagons were originally intended for transporting coal. Another highlight of the train was its steam locomotive, the Locomotion, which was invented by George Stephenson. Inter-city steam locomotives began operating in Britain and the United States within a few years, gradually spreading to other countries and continents. Much has changed since then. Steam locomotives have been replaced by other types of traction - diesel and electric locomotives. However, there is still something magical and primordial about steam locomotives. J. K. Rowling, the author of the Harry Potter novels, made the steam locomotives the means of transport for young wizards in the school of magic for a reason. Perhaps it is this magic that attracts people to steam locomotives. 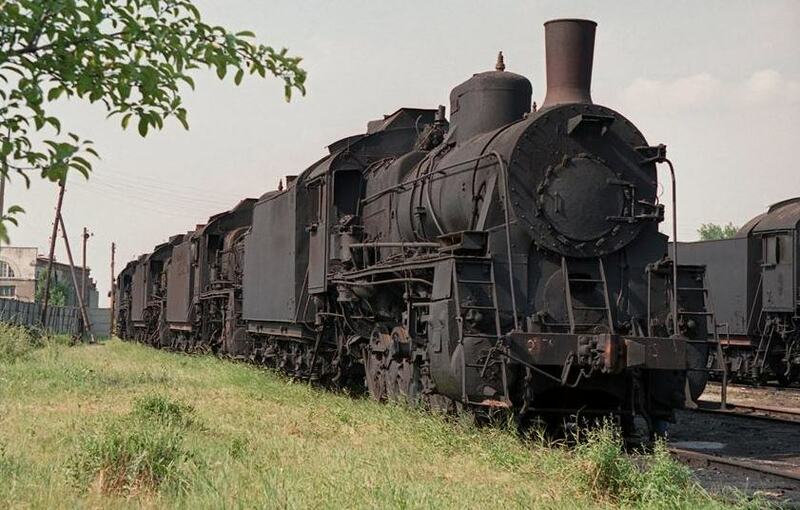 In European countries, enthusiasts and railway companies are restoring old steam locomotives and giving them a second life: steam locomotives become museum either exhibits or tourist attractions. The Ukrzaliznytsia public railway company has also decided to fallow this trend. A retro railway department was created within the company in early May. 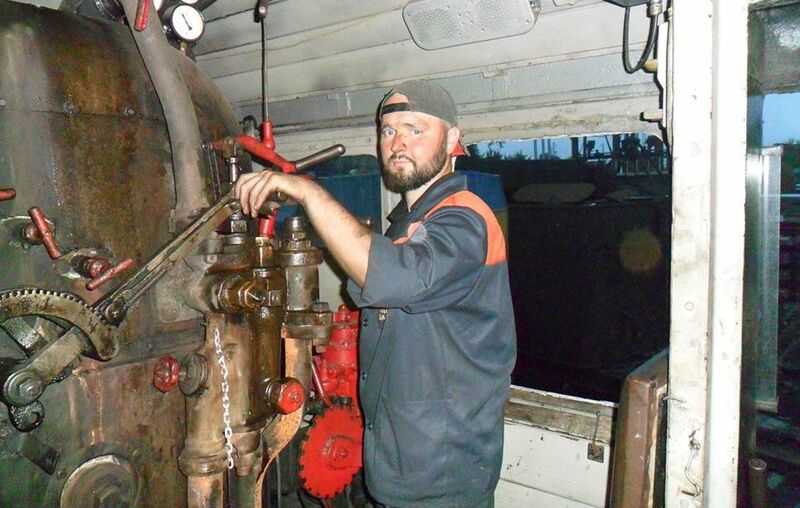 This department is headed by Vladyslav Plakhotniuk, who is a lover and connoisseur of steam locomotives. We asked him about the work of the unit he heads. You head Ukrzaliznytsia’s retro railway unit. What is this unit, how was it created, and what does it do? 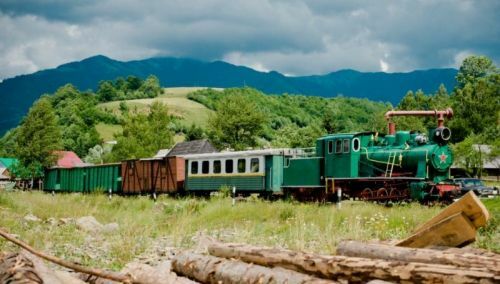 In the summer of last year, the Zalіznychna Spadschina Ukrainy public organization proposed that the Ministry of Infrastructure preserve historic railway equipment and develop railway tourism. 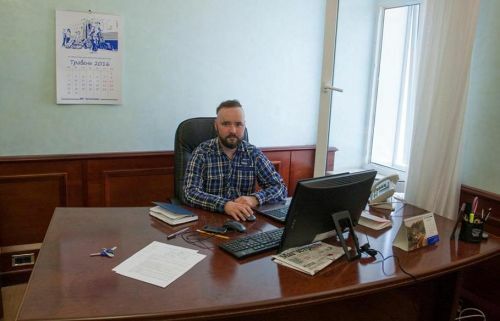 On the basis of these proposals, the ministry set up a working group, which included representatives of public organizations, departments of the ministry, and Ukrzaliznytsia. In the course of our work, we collected information about the state and number of retro equipment from Ukrzaliznytsia and enthusiasts. For best performance in this area, it was decided that the entity in charge of retro equipment should be part of Ukrzaliznytsia because most of the historic rolling stock are on the books of the company. Railways supported this idea. That is how the retro department was established. Previously, several departments – such as the locomotive, railcar, and other departments – were in charge of these issues. What are the tasks facing you? The main task facing us is preservation of historic railway equipment, as well as railway architecture, special track equipment, signaling equipment, and so on. In addition, we will develop measures to popularize retro equipment because people know very little about it. For example, there are three railway museums in Ukraine – one in Kyiv, Kharkiv, and Donetsk. The Kyiv museum is located at the Kyiv-Passazhyrskyi railway station, but few people know about it. At the railway station itself, there are insufficient signboards and signs providing information about the museum. We will fix this and popularize retro equipment. Our department is open to suggestions. Anyone interested can write to us at the e-mail address bati@uz.gov.ua. Periodically, we are informed when old trains or railcars are found, we go to the site to inspect them and enter them into the relevant database. We also receive proposals on the tourist routes on which retro equipment can be used. There are three people in our department. For now, we do not need more people. Does your job currently come down to monitoring and systematizing information? Yes. Monitoring is currently being performed. This is the first thing we started with. Pursuant to protocol instructions, affiliates of Ukrzaliznytsia have sent information about their existing rolling stock that was built before 1955. In addition, we receive information from non-governmental organizations and enthusiasts because railways do not consider all available retro equipment as such. For example, if a wagon is on wheels, then it is a wagon. If not, they do not indicate this. Therefore, we have to go to the site to update the information. In addition to monitoring, what are you working on now? Together with the Institute of National Remembrance and other organizations, we are preparing a stylized exhibition on the 1944 deportation of Crimean Tatars. Our part is to prepare an authentic railcar. We have found the body of the railcar in the Darnytsia district of Kyiv, and the spare parts are being gathered from various divisions of Ukrzaliznytsia. Will the exhibition be held in Kyiv? Yes, the railcar will be installed in Kyiv. A location that will allow as many people as possible to visit is currently being determined. Is it possible to create a separate branch of Ukrzaliznytsia in charge of retro trains and retro journeys? I do not exclude the possibility of Ukrzaliznytsia being able to offer passengers interesting journeys in retro trains in the future. I cannot yet say how this will be implemented and when. How many retro equipment are there in Ukraine? What is their status? Previously, Ukrzaliznytsia did not perform systematic work in this area. Individual steam locomotives have been transferred onto the books of local governments while others have been restored. However, these are isolated cases. Even when there was a working group within the ministry, we traveled on the Prydniprovska railway in December and examined all retro equipment. Surveys have shown that the conditions of the majority of the steam locomotives standing on pedestals are extremely unsatisfactory. I am speaking not just about technical but also their cultural conditions. Quite often, we have seen that steam locomotives on pedestals have become "public latrines." Regarding the number, I have counted 97 broad-gauge and 12 narrow-gauge steam locomotives in Ukraine. Out of the 97 steam locomotives, 20 are now on the temporarily occupied territories, some on the territories of enterprises, and others on the books of local self-government agencies. Currently, not all steam locomotives are on the books of Ukrzaliznytsia. As for the narrow-gauge steam locomotives, non-governmental organizations and local agencies have proposals on development of three narrow-gauge railways: Borzhavska, Antonovka-Zarechne, and Rudnitsia-Haivoron-Holovanevsk. 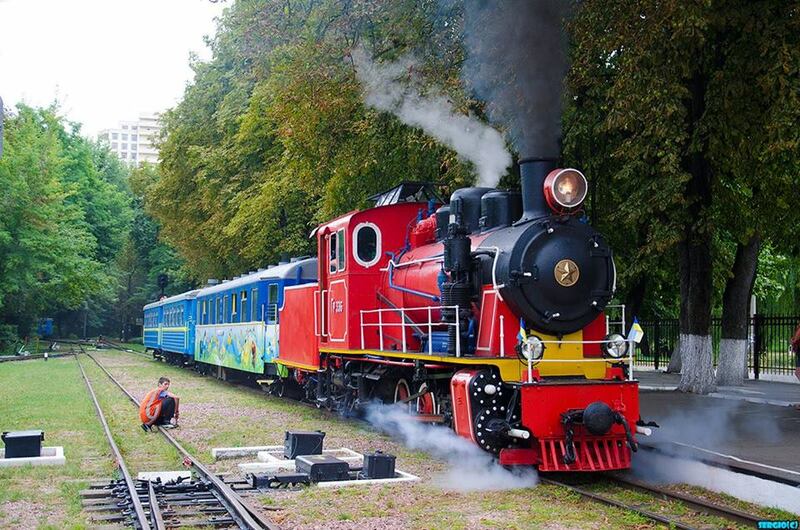 Such cooperation is definitely necessary, but only three narrow-gauge steam locomotives are currently on the books of Ukrzaliznytsia – one on the Kyiv children's railway, one in Haivoron, and one on a pedestal near the locomotive depot in Chernivtsi. Retro railcars can be divided into two categories. Some are used as utility rooms on railways while others have been written off or they are waiting for their turn to be written off. To date, no retro passenger railcar is in condition to travel on rail tracks to a repair site. In the future, it will be necessary to assemble them in one place. There is an exception: a retro railcar has been restored in Kharkiv, but it uses modern bogeys. It is currently used for retro journeys. However, in general, the situation involving railcars is quite sad. The most important thing is that we have specialists who can restore them based on sketches. Will retro equipment be gathered in one place or several locations? We will have a base for repair of steam locomotives. This will be the Schors locomotive depot (TCh-12) on the Southwestern Railway. Freight railcars will most likely be restored at the Darnytskyi railcar repair plant in Kyiv. The place for repair of passenger railcars has not yet been determined, but it will possibly be at the Kyiv Passazhyrskyi railway depot (VChD-1). Why was Schors depot selected as the base? 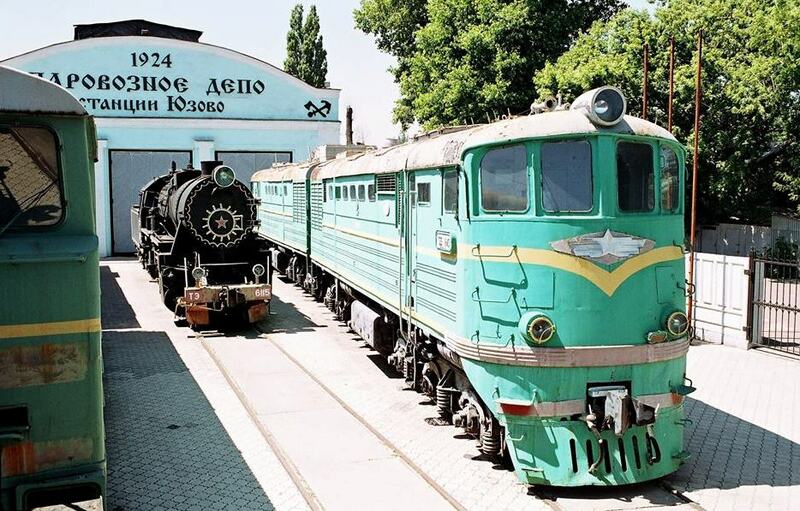 The Schors depot (in the town of Snovsk, Chernihiv region) also repaired steam locomotives in the past. For example, the retro steam locomotives operating in Kyiv as part of retro excursion trains are assigned to the Schors depot. The personnel remains there, the equipment remains there, and there are two roundhouses with turning platforms there. A roundhouse building can be assigned to retro railcars in the future. I have a dream of creating a festival of steam traction at the Schors depot. They may not only shunt at the depot, but also travel to Bakhmach and back, for example. In many countries, the main railway museums are not located in the capital. Therefore, the Schors depot could become the basis for such a museum in Ukraine. There is a music festival in Snovsk, where the Schors depot is located. These two attractions can be combined. Narrow-gauge locomotives have had a successful experience of this symbiosis. For example, the Uhochanska Loza wine festival is held on the Borzhavska narrow-gauge railway and the Burshtynovyi Way ethnic festival is held on the Antonivka-Zarechnoye narrow-gauge railway. You mentioned a trip on the Prydniprovska Railway. Why is the monitoring being piloted on this railway? We went to this regional railway because there was a threat of destruction of several steam locomotives there. They had begun scrapping steam locomotives, but we have managed to stop the process. 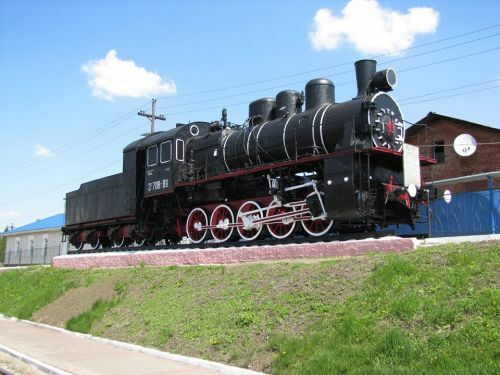 The steam locomotives were located at the Polohi reserve base in the Zaporizhia region. They were later driven to the Nyzhniodniprovsk and Synelnykove depots under the pretext of heating the depots. However, they later began scrapping the steam locomotives. How did you manage to stop the scrapping of the locomotives? We contacted the Ministry of Infrastructure to inform it about this. Instructions banning destruction and write-off of steam locomotives were circulated throughout Ukrzaliznytsia subsequently, and the scrapping was stopped. Who will finance the restoration of retro equipment? Many people, both inside and outside Ukrzaliznytsia, have asked me this question. We expect to attract the maximum possible amounts of grants. In our department, we have a person who will be responsible for liaisons with government agencies and for attracting grants. Ukrzaliznytsia will provide certain amounts. These amounts are not yet known. Many say that narrow-gauge and children's railways are unprofitable. Yes, this is true, but profitable events that will create a positive image for the railways and allow reduction of the losses of narrow-gauge railways can be held on them. Therefore, I think we should organize more such events. We are now receiving numerous proposals on development of narrow-gauge railways in Ukraine. We plan to organize a conference on narrow-gauge railways with the involvement of local government agencies, non-governmental organizations, and foreign experts. No, not all of them. Some are on the books of Ukrzaliznytsia, some on the books of local authorities, and, in some cases, it is very difficult to establish the owner. How will the issue of transfer of this retro equipment onto the books of Ukrzaliznytsia? Nobody will remove all steam locomotives from pedestals. We will consider each case individually. If a locomotive is in a very bad condition, we will ask local authorities to restore it to a working condition or to the condition of a good museum exhibit. It is better for it to be in a museum than to be a "public toilet." Regarding ownership, we will negotiate with local authorities and reach agreement on the fates of these locomotives. Do you think ordinary people who are not interested in the railway will be interested in retro trains? That is a slightly philosophical question. I believe that people of today are a little tired of technology and gadgets. This can be observed among young people. Bicycle tourism is now developing and hiking is becoming increasingly popular in Ukraine. In general, more people are becoming interested in active tourism. Retro equipment can become part of this trend. 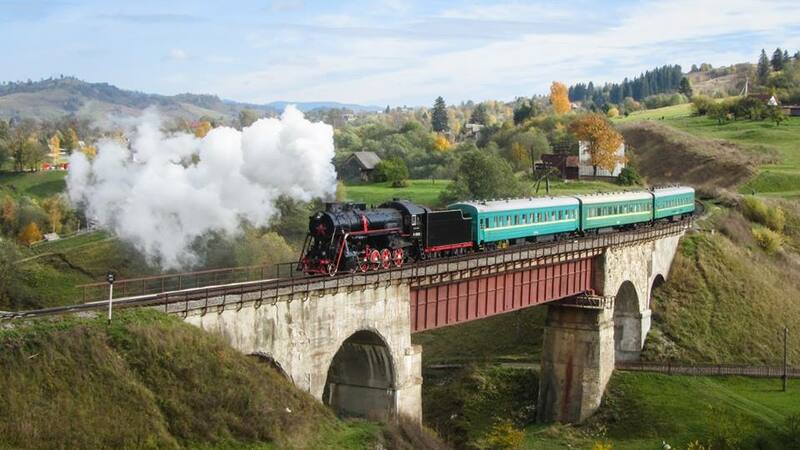 For example, some railway routes pass through picturesque places, and retro trains can be launched on such routes. Were you previously involved with the railway? It has always been a hobby. I have never worked on the railway. How did this hobby begin? My mother is from Khrystynivka, which is a major railway hub in the Cherkasy region. As a child, I went to sleep and woke up to the horns of locomotives. Then, I was lucky enough to get into a locomotive reserve base when steam locomotives were still there. Now, most of them are located in the Donetsk museum in the occupied territory. I still remember how much the steam locomotives impressed me. That is how it all started. In addition, my great-uncle was the driver of an armored train during the Second World War and the driver of a captured German BR-52 steam locomotive from 1944 to 1945. One of my great-grandfathers was a locomotive driver back in the 1920s and 1930s. Therefore, it is a family tradition.